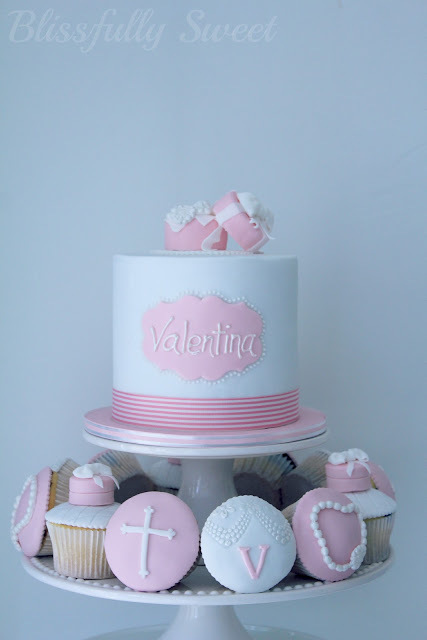 This sweet little set of cupcakes with cutting cake was made for Valentina's Christening day. 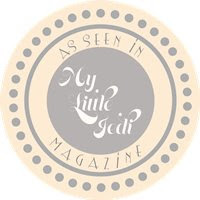 Valentina's mum sent me a picture of the design that she was after (I do not know the original artist to credit). 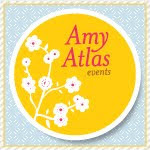 This was my interpretation of the design brief. The top cutting cake was kept simple with a name plaque and little pink hat jewellery box on top. 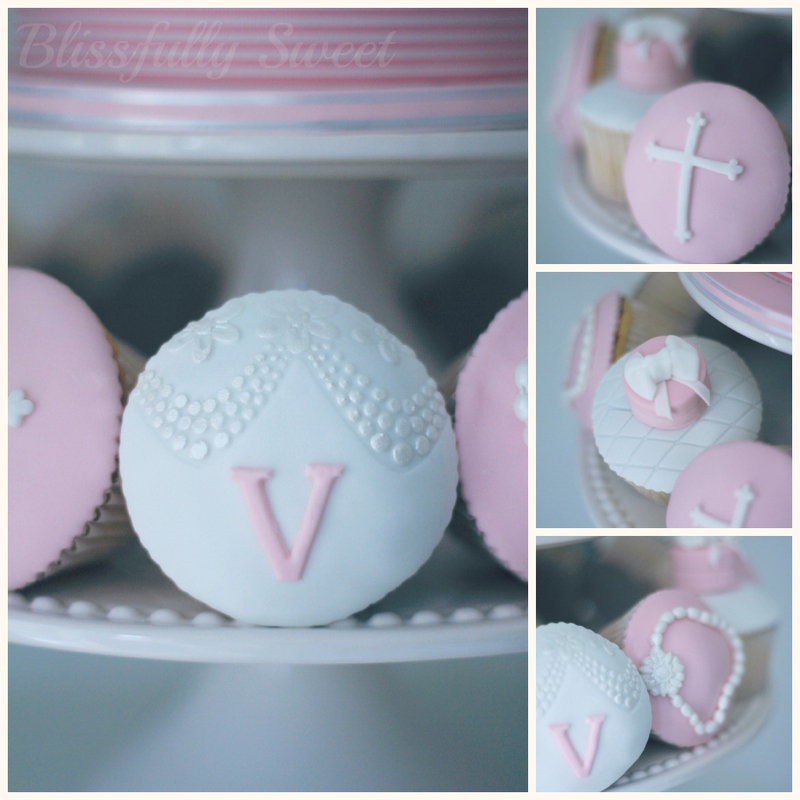 The set of cupcakes were a mix of embossed "V", bracelet, cross and jewellery box. The cake and cupcakes are all vanilla and chocolate marble cake with dark chocolate ganache. May God Bless You always Valentina!